Can I Refuse to Take a Breath Test in Tennessee? In the state of Tennessee, the law dictates that all licensed drivers automatically consent to a chemical test if they are pulled over on suspicion of DUI. If a police officer pulls you over because he or she has probable cause to believe that you were driving under the influence, then you consent to taking a chemical test of the officer’s choosing, whether it is blood, breath or urine. This law is known as implied consent, and if you refuse a chemical test, there are consequences. Refusal of a mandatory Tennessee DUI test, if it is a first offense, is a one year revocation of your driver’s license. If this refusal came after an accident that involved serious injury, your license will be suspended for two years. If the accident involved a death, your license will be suspended for five years. Second and third offenses alone will result in a two year license revocation. The officer must inform you of the consequences of refusing a chemical test. You are allowed to request a hearing in order to challenge your license suspension, and if you can prove than an officer did not make you aware of the consequences of refusing the test, then the court is able to reinstate your license and cannot make you drive with an ignition interlock device in your car, even if you do get convicted of a DUI. If you are unable to convince the court to fully reinstate your license, you can still ask to drive with a restricted permit that lets you drive to school, work or to an alcohol safety program. Refusal of a chemical test does not mean that you will not be convicted of a DUI. 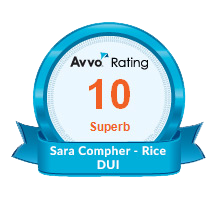 Although refusing the test will deprive the state of proof that your blood alcohol content was above the legal limit of .08%, that does not mean the prosecution won’t use your refusal against you. They can argue that you declined the test because you knew that you were intoxicated and already guilty of DUI. 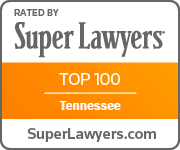 The state of Tennessee does not allow you the ability to speak with a DUI attorney before choosing whether or not to take a chemical test, but you can request an independent test of your own choosing after the initial test. Breath tests give an indirectly determined value of how much alcohol is in a portion of exhaled air, rather than how much alcohol is actually in the bloodstream. If a police officer requests a breath test, you may also request than an independent blood test be done as well. 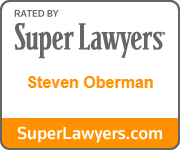 It is important to speak with a DUI attorney as soon as possible if you are arrested. 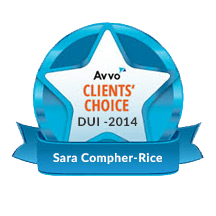 Even if you are not convicted of a DUI, you may still be penalized if you refuse a lawfully requested chemical test. 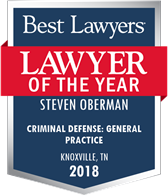 The Knoxville DUI attorneys at Oberman & Rice can offer invaluable legal advice and will work to protect your rights.